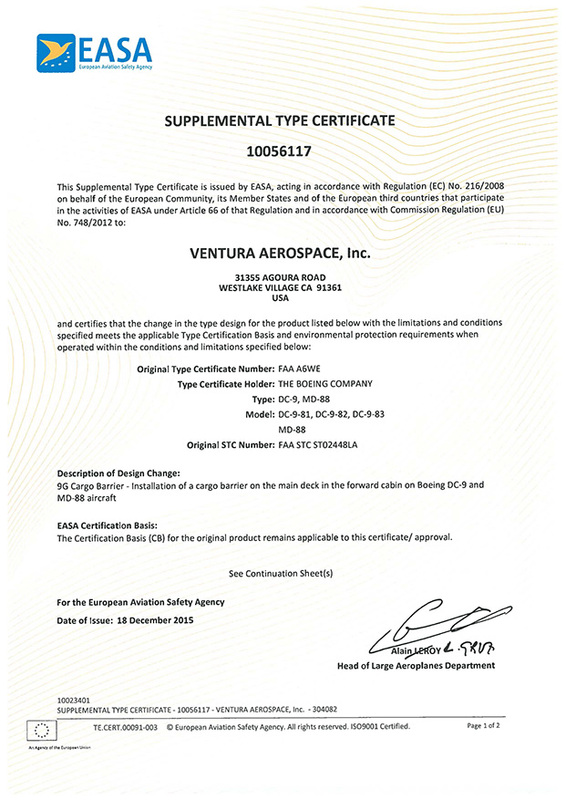 Ventura Aerospace received an STC for its DC-9-81, DC-9-82, DC-9-83 and MD-88 Rigid Cargo Barrier. 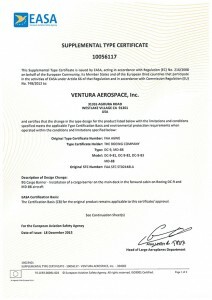 Ventura Aerospace Rigid Cargo Barriers can be found on all current narrowbody freighters currently being offered in the market. This includes the 737-300, 737-400, 757-200 and MD-80. A CRJ-100/200 Rigid Cargo Barrier is currently undergoing installation conformity. A 737-800 Rigid Cargo Barrier is currently in development and an A320/A321 is being evaluated.